Upright, brilliant color plant. Attracts hummingbirds. 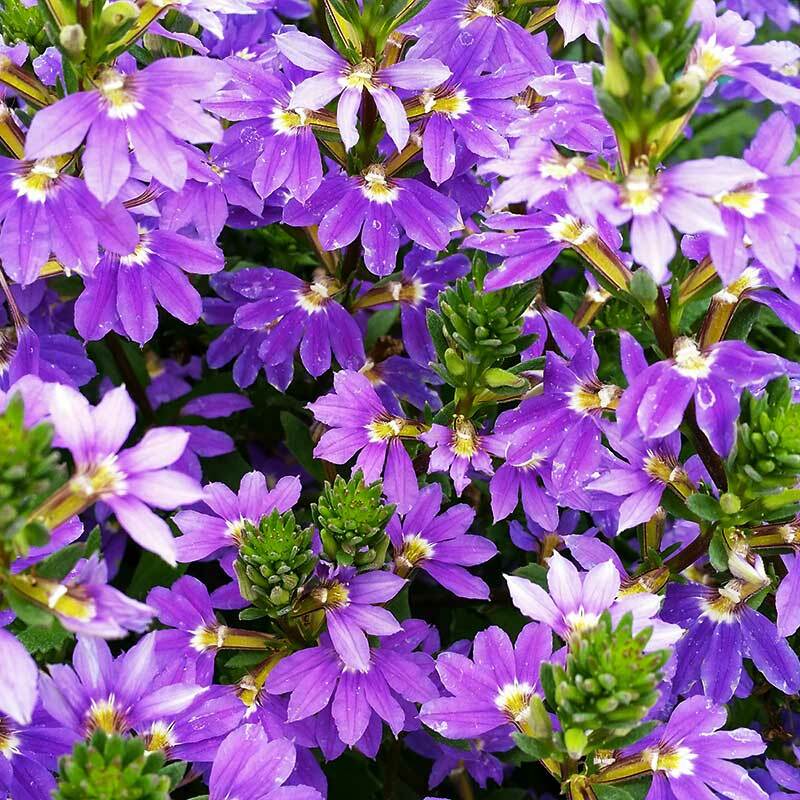 Great garden plant that blooms and blooms. Thick flowers on a stalk in deep blue with white accents. Cascades in containers yet stays compact. Lavender Blue. 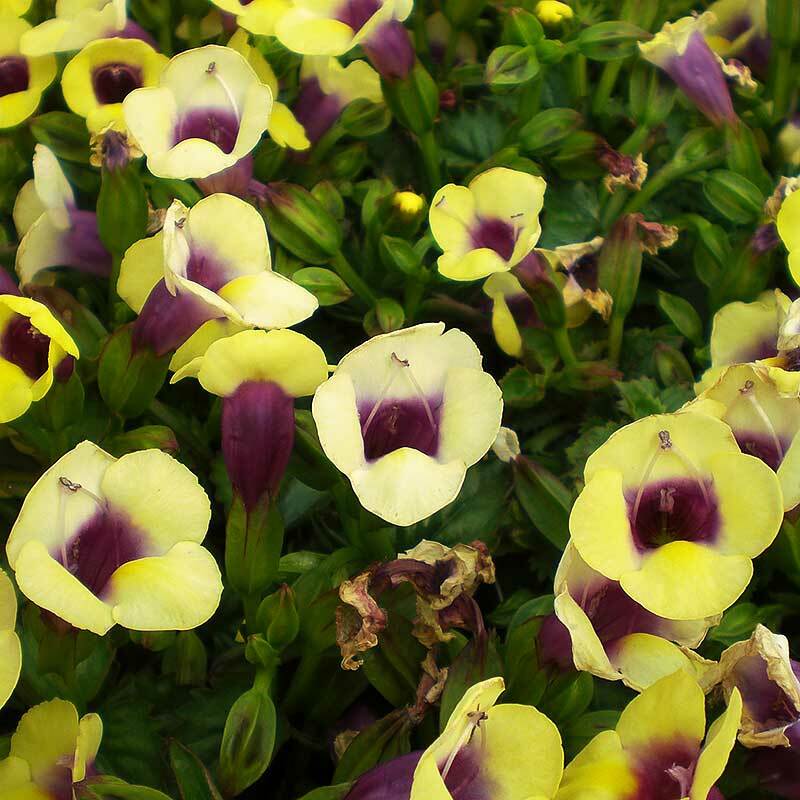 Trailing, heat tolerant ideal for hanging basket in yellow. Trailing vine grown for its green and lavender foliage. 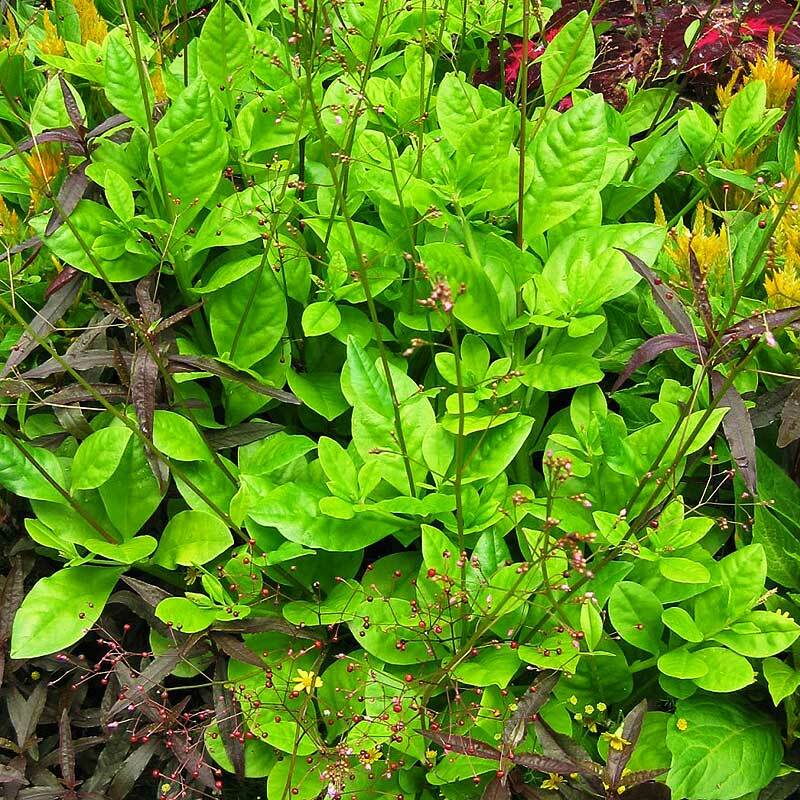 Sturdy elongated leaves great for accent plant in containers or the garden. Compact plants and uniform flowering. Sun. Yellow. 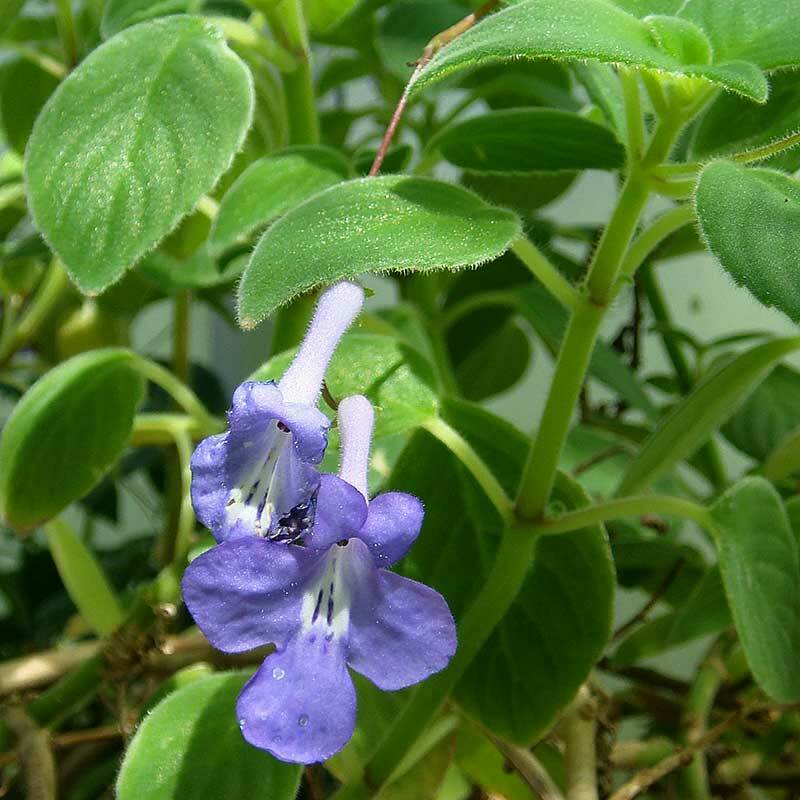 Mounding plant, cross between Stachys and Lamium that makes a great ground cover as well as accents in pots. Fuzzy, African violet-like plant that works in garden, basket or as a house plant. 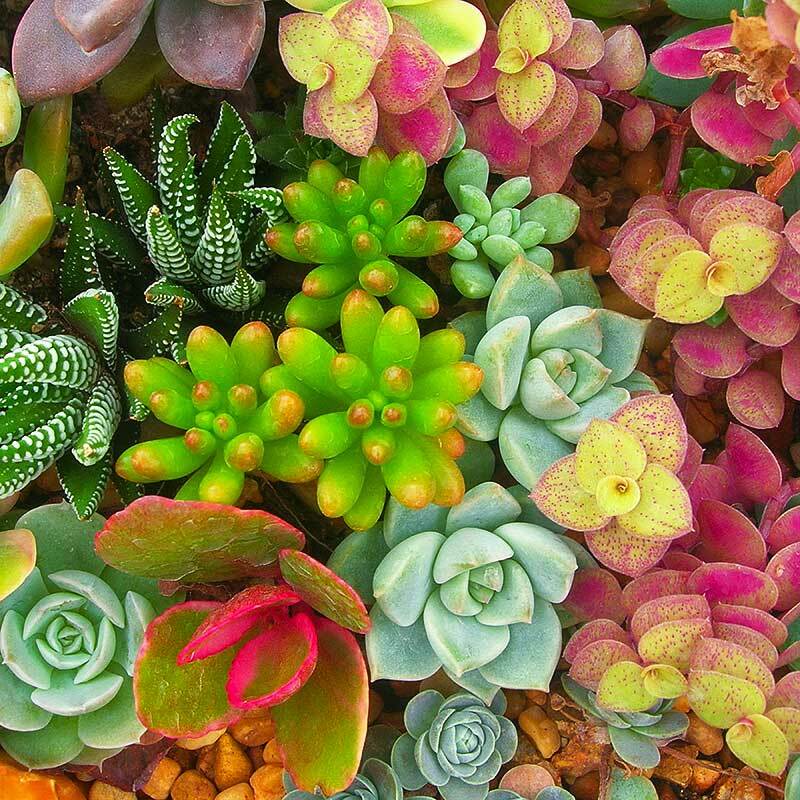 These plants have an endless variety of playful to elegant shapes, vibrant colors and textures from touchily soft to prickly sharp. They are great plants in rock gardens or shallow dishes that can be brought inside for carefree winter color. Great for mixing in a variety of ways. 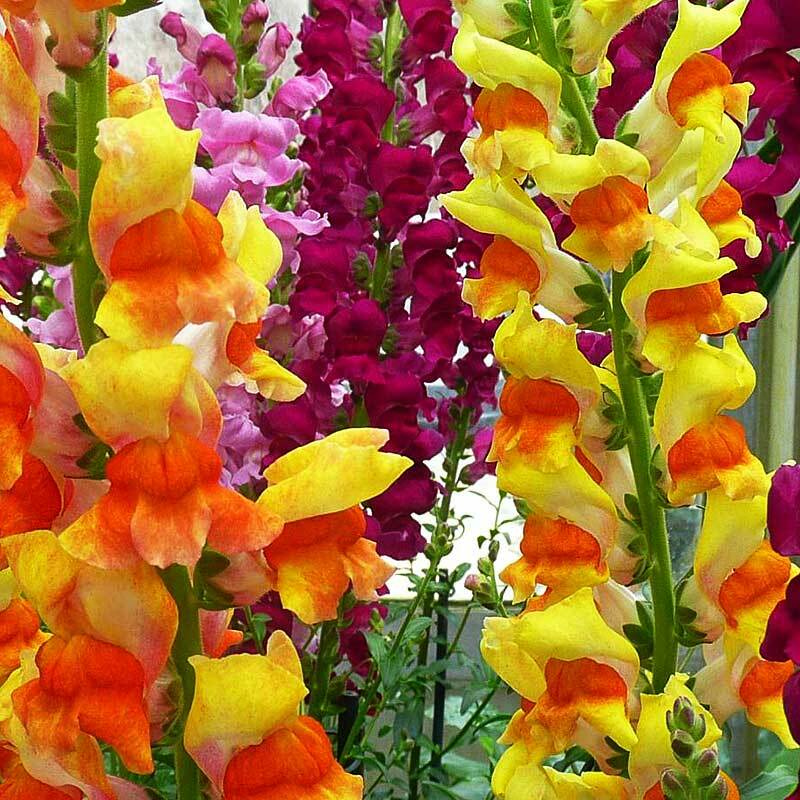 Most bloom either on singular stalks or in clusters for pops of bright color. They are available in a variety of sizes for your uses. We also have an assortment of succulents available in larger pots. Clusters of rosettes in reds, greens and purples. Sun to shade 6-24". Blues, purples, or leaves in greens sometimes trimmed in bright golds and reds. 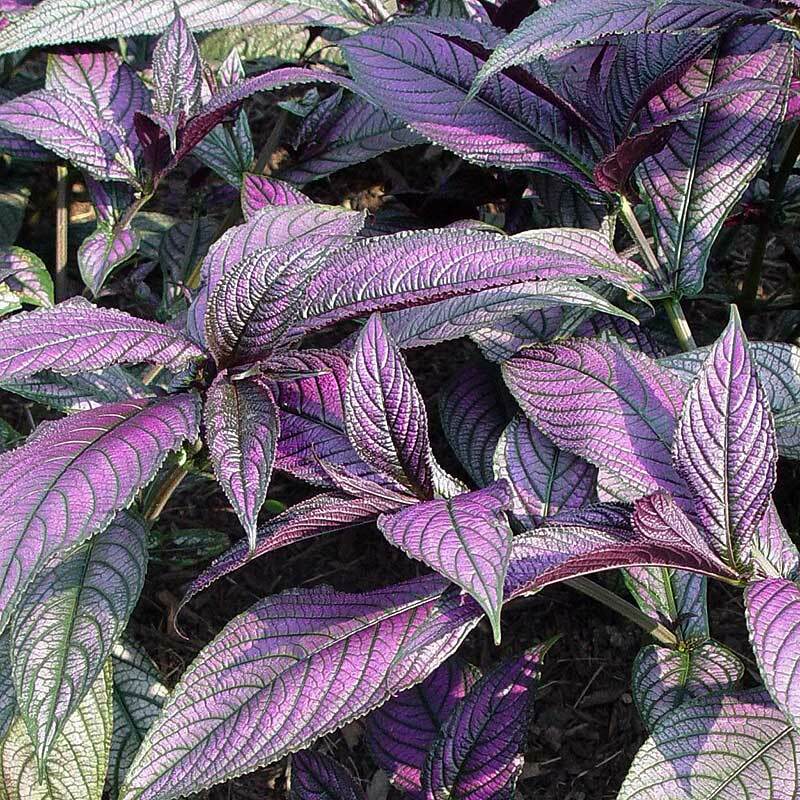 Stunning sun plants that can adapt to shade. 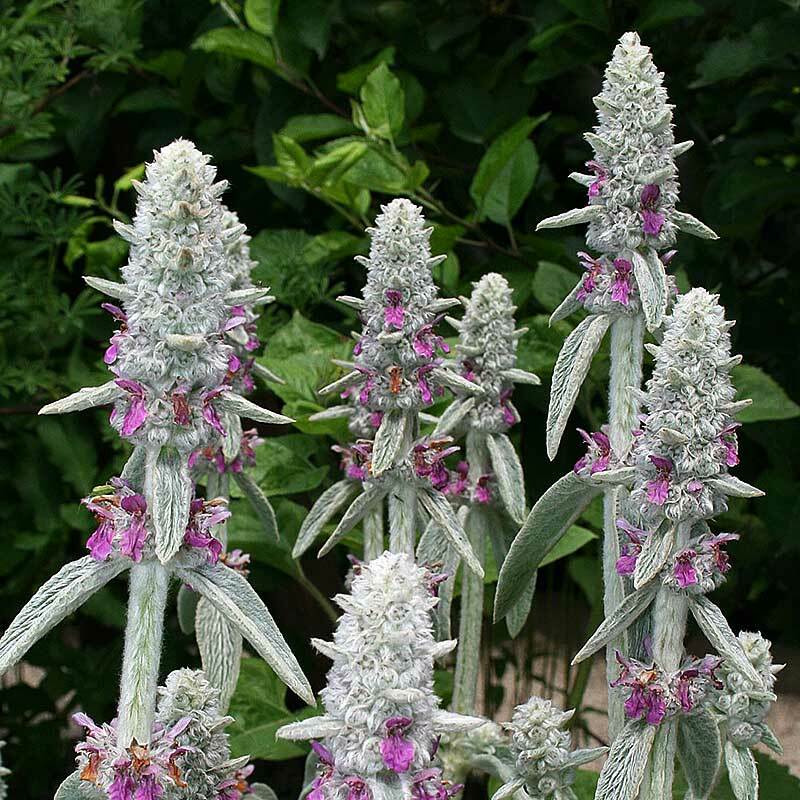 Tall, stately plants that spread out from a tight, central cluster of leaves. Juicy leave that narrow to a point as they spread out from the center. Plants multiply to eventually form clumps of lime green to blue/green plants. Textures go from bumpy to furry soft. Stonecrop varieties are low and spreading for groundcovers or planters. Chubby little fingers tipped in reddish colors. Likes partial shade. 6-24". From big, paddle-like leaves to tree-like plants covered in small, round leaves. These make great potted plants inside or out. From small, 5" plants to mature plants of 2'. These rosette-shaped plants can be fuzzy or crimped, green with red stripes or blue. 4½" pots. The "Firesticks" variety also known as a "Pencil Tree" is popular for its stunning red tipped pencil-like leaves. Good specialty plant for unusual or vertical containers. Commonly called Baby Toes, these unusual plants from South Africa, have finger-like leaves in upright clusters. Each "finger" has a translucent tip. 2". Good for specialty planting like walls, bottles. This foliage is a nice reddish-bronze that develops in the sun. 3-6"
Ghost Plant. Good for succulent dishes. Zebra Plant. Good for succulent dishes and specialty containers, like walls. 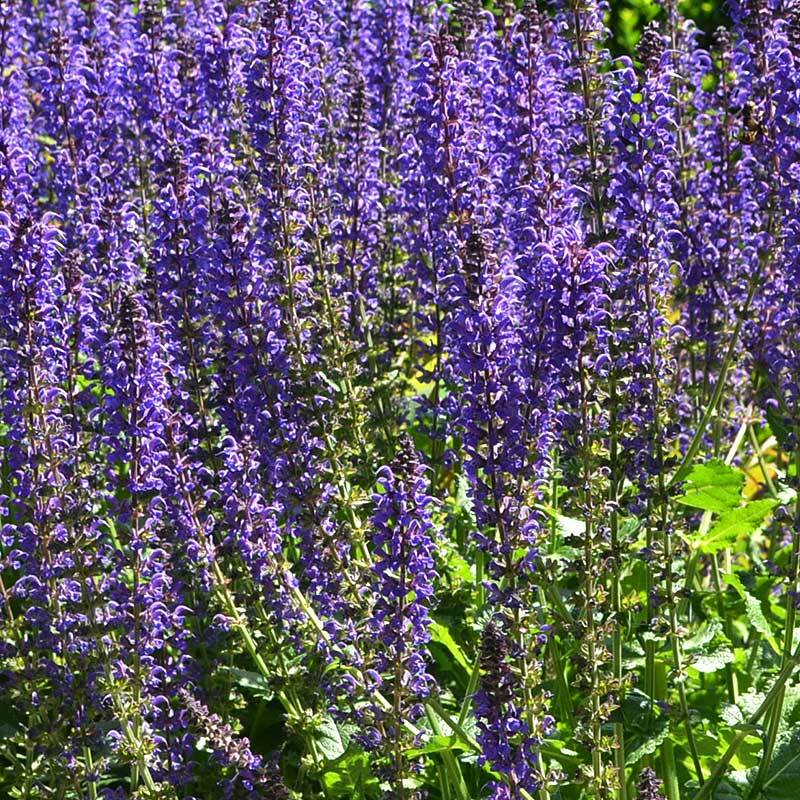 8-14" plants that can have leaves like elk antlers or flapjacks. Pink Vygie blandus. Good for specialty containers like walls. Beautiful contrast between red draping stems covered in round green leaves. Spreading, low growing plants with many clusters of star-shaped flowers in golds, pinks, and reds. 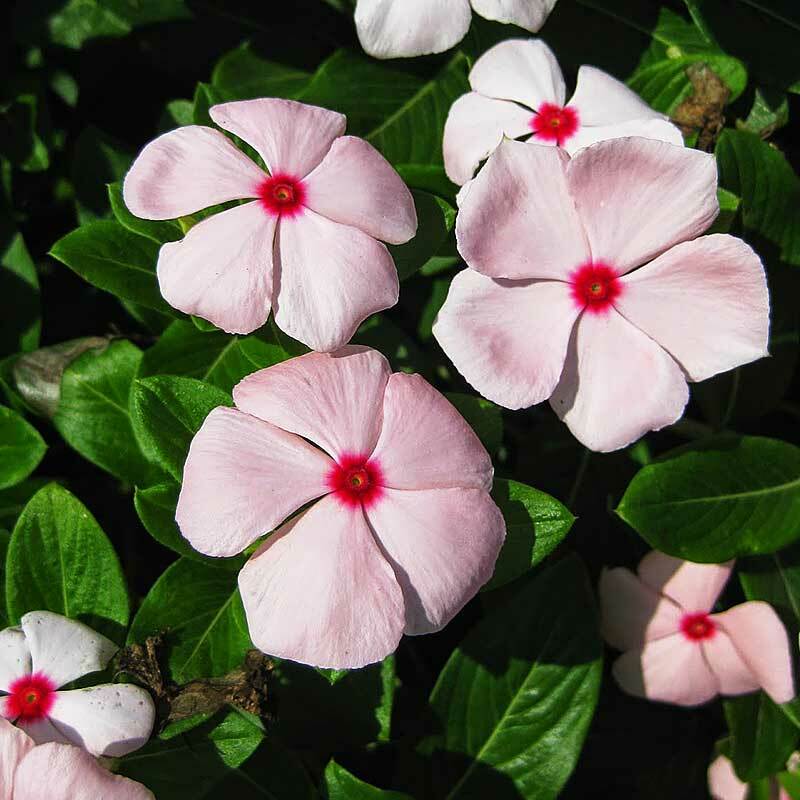 Long, fleshy leaves cover upright stems or cascading stems for a very full appearance. "Blazing Glory" has bright orange/red blooms. Beautiful collections in 8", 10", or 12" attractive containers. We will also pot dishes up with your choices in pots available. Heat & drought resistant lime green plant with tall, upright spikes branched with small balls of deep pink flowers. Great mixed with other plants. Very showy in Lemon Yellow or Orange with dark brown centers. Dark blue with orange centers. Great as groundcovers or containers. Part to full shade. Blue, Bouquet Gold. 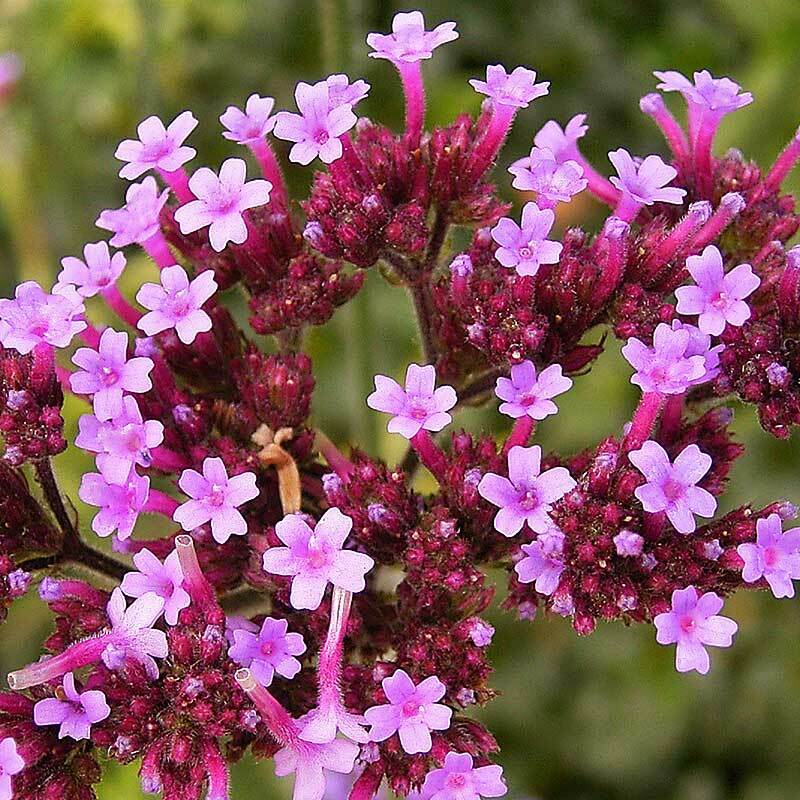 These plants are known for clusters of tightly grouped blossom heads. 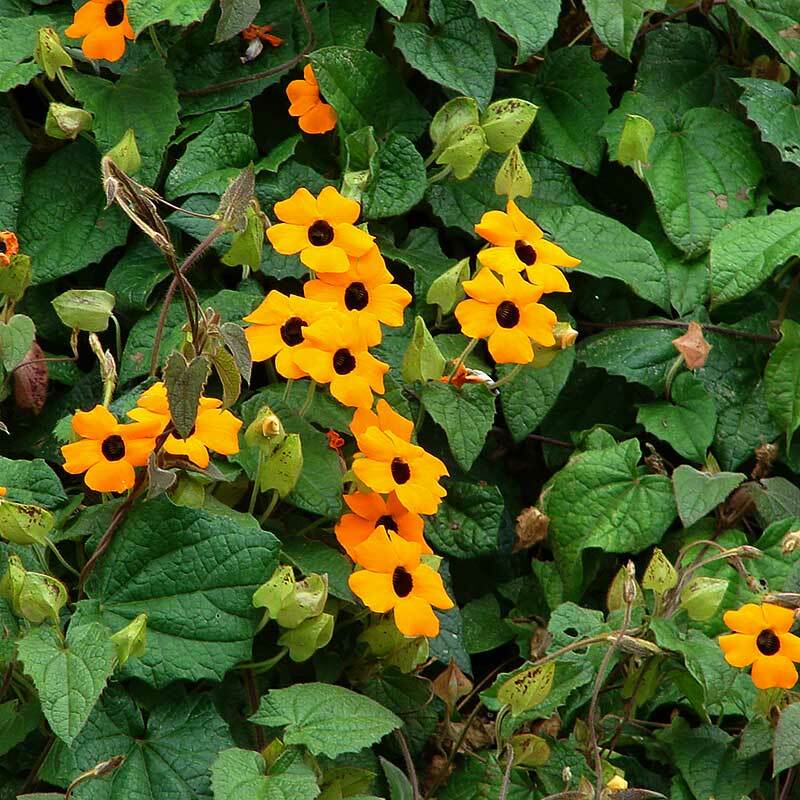 Full sun lovers, they usually trail and make gorgeous baskets or draping down containers, especially in combination with other plants. Full sun plant with white eyes. Does great in baskets and containers. Blue, Burgundy, Pink, Red Velvet, White. Free flowering has a mounding, cascading habit. Containers and baskets. Deep Pink, Light Blue, Red. The first verbena that's hardy in the hottest days of summer, but also takes the cold to the low teens. Superior branching. Colors: Magenta, Pink Bicolor, Purple. Burgundy, Grape, Pink, Purple Fizz, White, Pops Pink. Trailing, continuous blooming plant with intense colors. Candy Cane, Deep Purple, Lime Green, Peach Red, Twister pink. Big Compact 6"-8" mounding plant great in pots. Burgundy, Black Velvet, Dark Blue, Mango Orange, Red, White. Large flowers in a dense, mounded form. Loves large containers or baskets. Raspberry. Used in containers and baskets. Can come back if planted. Lime/yellow centers with irregular green edging. Same as Illumination except with creamy centers and can trail 12".